The rapper interrupted his gig in Phoenix, Arizona to share his frustration with the crowd, suggesting the snub was racially charged. 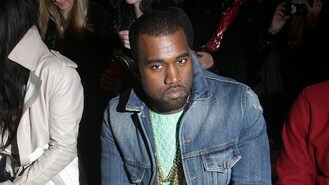 Kanye can be seen in a video posted on YouTube ranting: "I'm 36 years old and I have 21 Grammys. That's the most Grammys of any 36-year-old. Out of all of those 21 Grammys, I've never won a Grammy against a white artist. So when the Grammy nominations come out, and Yeezus is the top one or two album on every single list, but only gets two nominations from the Grammys, what are they trying to say? Do they think that I wouldn't notice? "Do they think that, some way, that I don't have the power to completely diminish all of their credibility at this moment? "When you see me talking about what people are doing when I say 'marginalised', when I say 'boxed in', when I say 'hold back' , when I say 'people are afraid of the truth', that's one example right there in front of you." Kanye was nominated for best rap album and best rap song for New Slaves. But he said: "People come to me and congratulate me on those two nominations. F*** those nominations! I would rather have no nominations. It's only patronising. Don't patronise me." He added:"I'm happy for my brothers that did get nominations. I just had to get a couple things off my chest." During a show in Atlantic City last year Kanye complained he only gets nominated "all in the black categories".